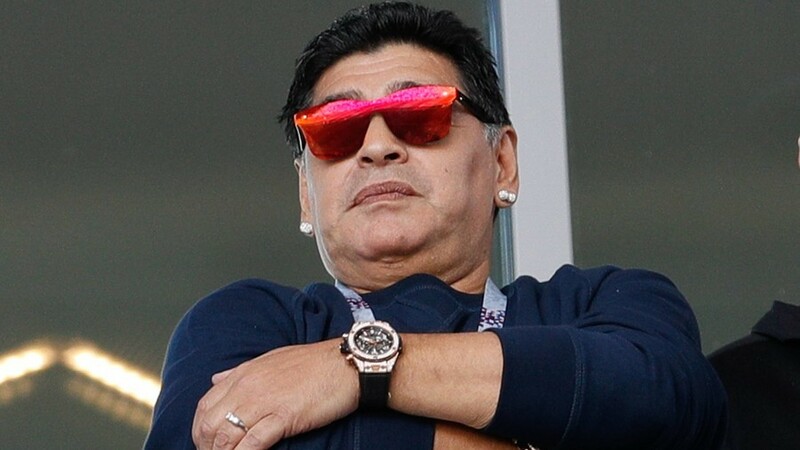 Argentina Legend Diego Maradona has warned his country’s Coach, Jorge Sampaoli, not to return home from the World Cup in Russia if the Albeceleste loses to Nigeria and fails to qualify from Group D to the knock out stage. Maradona who played against Super Eagles at Nigeria’s debut at the Mundial in 1994 in USA told Argentine Television Telesur’s ‘De la mano del Diez’ show that the way his country played in the opening game of Group D against Iceland leaves much to be desired. “If he carries on like this, Sampaoli can’t come back to Argentina. “There is serious trouble ahead because Nigeria have experience, they know how to counter-attack and they know how to score,” stressed the Argentine football legend who watched his country squandered the lead to share points with Iceland last Saturday. Maradona went on to blast Sampaoli for his poor tactics against Iceland. “His (Sampaoli) game-plan was a disgrace. Even though the Iceland players average 1.90m in height, we played all our corners into the air. We had no short game,” Maradona recalled. Last year, Argentina threw away a 2-0 lead to lose 4-2 to Nigeria in an international friendly in Russia. The perennial group stage customers are to clash in their last Group D game on June 26 here in Saint Petersburg. “I missed five penalties on the spin and I was still Diego Armando Maradona. I don’t think that they dropped two points because Messi missed a penalty,” added Maradona, who led Argentina to the quarter-finals in South Africa in 2010 as coach.